The Off-Road Truck Avenger is designed specifically for off-road applications. The unique fuel metering block eliminates fuel spillover through the boosters at extreme angles allowing for 40 degree climbing, 30 degree side hill maneuvers and nose-down descents to avoid hesitations, stalling and flooding typically associated with carbs in an off-road environment. 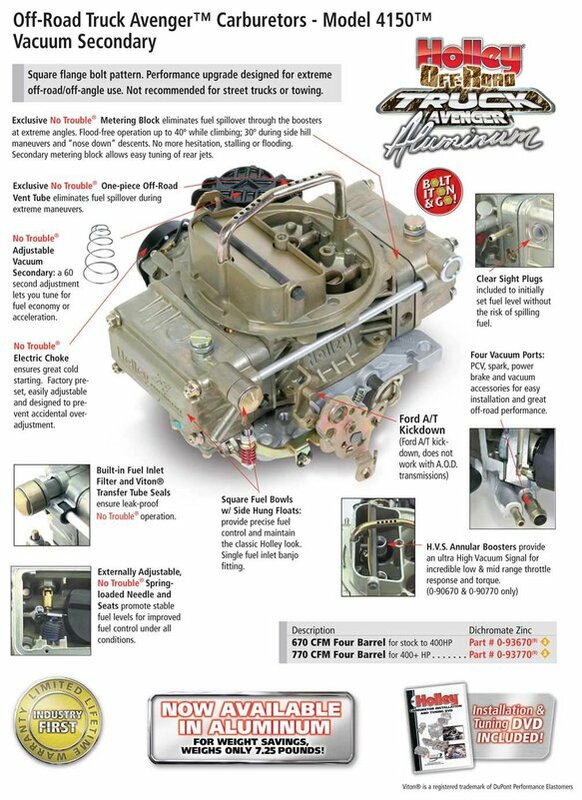 The Truck Avenger features a quick change vacuum secondary for easy fine tuning; four vacuum ports for all necessary vacuum accessories; factory preset electric choke for easy start ups; and a built-in fuel filter. 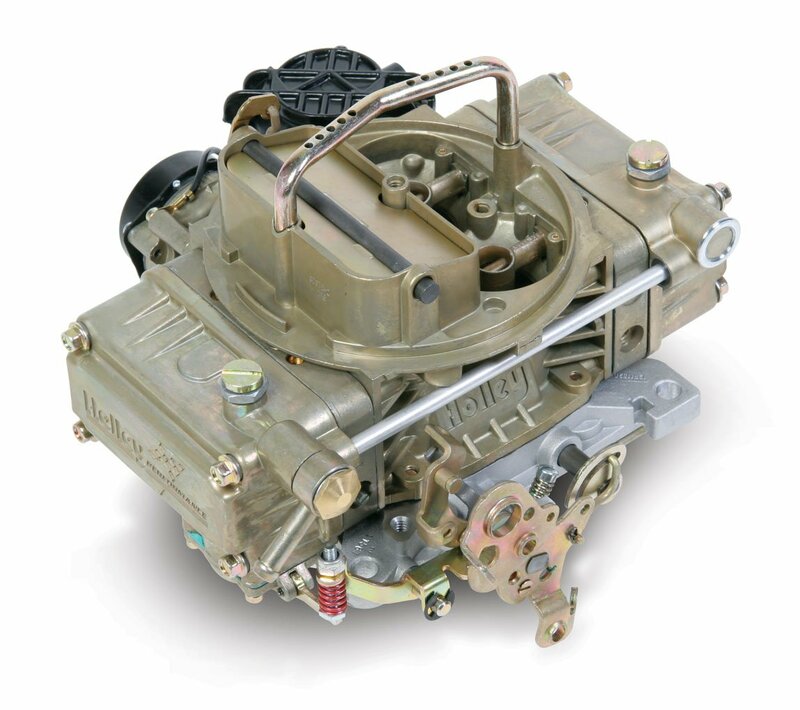 The 470 CFM Off-Road Truck Avenger is the perfect carburetor for 4 cylinder, V-6, and inline 6 cylinder engines.